If you’re new to aquaponics then the first fish you’ll probably think of and try is the tilapia. There are hundreds of articles written about these fish and how tolerant they are to mistakes in your aquaponics system. It does make them a good choice, but you should also consider barramundi aquaponics. The barramundi is actually part of the catadromous family. It is often referred to as Asian sea bass or simply as barra. It’s usually found in the Indo-West Pacific region which covers Southeast Asia and northern Australia. 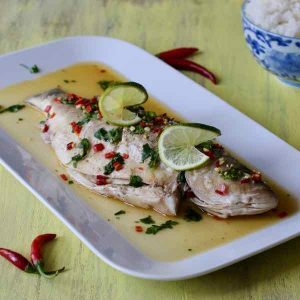 This is why the barramundi is so popular in Australia and Thailand. In fact, it is a very popular Thai dish, known as pla kapong. Considering where the natural habitat of this fish is, it shouldn’t be surprising that it is a warm water fish. Therefore, if you live in a colder climate you may prefer to choose the hardier tilapia. At the least, you’ll need to be ready to keep your water warm. This fish is known not to have any fear; it will feed on virtually anything. In fact, it can be highly entertaining watching it as it gets hungry; it will slap the water viciously. This is just another reminder that these are serious predators. I’m sure if they were shark size the sharks would turn tail and flee! Let’s get one thing straight, the barramundi is probably not the best choice if you’re just starting out in aquaponics. It is a fast-growing fish, but it can be difficult to take the barramundi fingerlings to full size; unless you know what you are doing. There is a good reason for this, barramundi fingerlings are approximately an inch long. At this age, they will start to nip each other. Having adult fish in the same tank will make matters worse. It’s not unusual for a fingerling to be swimming around with a chunk missing. This fingerling will eventually die, although it may be eaten by the other barramundi before death occurs naturally. This is why you’ll need to invest in small cages and add them to your fish tank. The theory is that the larger fish won’t be able to eat the barramundi fingerlings, as they won’t be able to swim through the bars to get into the cage. Interestingly, once the barramundi reaches 4-6 inches they will stop trying to eat each other. The alternative is to purchase twice as many fingerlings as you need and assume half will die. Are you ready to find out the benefits of keeping a barramundi aquaponics system? There is no doubt that this is a fast growing fish. You’ll be able to get them to plate size within one summer season while growing your plants with the huge amount of waste they produce. Because these fish like to eat there will be plenty of waste produced; ensuring you can feed a decent size grow bed. The exact size will depend on the size of your tank and the amount of fish you stock. But, as usual, you should have between 5 and 10 gallons of water for each of your barramundi. 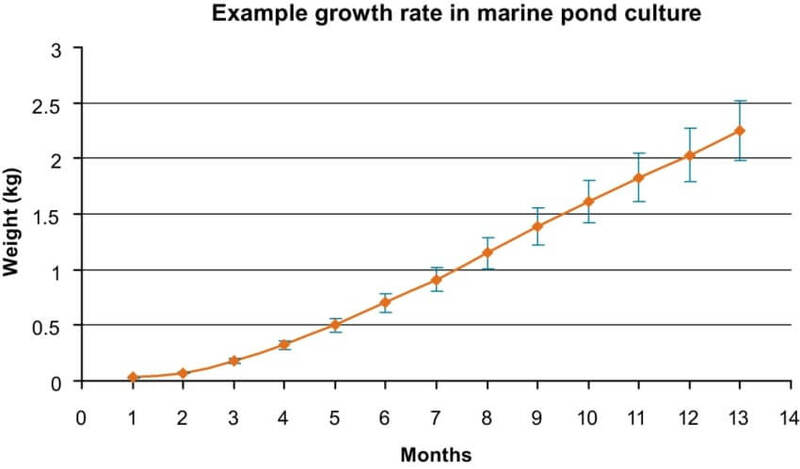 If you’re intending to keep them long term you may need to up this amount to between 10 and 20 gallons per fish. When you’re looking after fish in order to grow crops or even harvest the fish; your main aim may not be fun. However, the barramundi ware actually highly entertaining fish, looking after them may be challenging but these fish will quickly become docile; until feeding time when they thrash in a similar manner to Koi Carp. The barramundi can eat a lot and that is all processed and expelled as waste. If you don’t take precautions you’ll find that the tank is quickly overcome with the waste products and the bacteria can’t turn it into nitrates fast enough. In turn, this can cause the pipes to start clogging. You’ll need to have a good filtration system to ensure this doesn’t become an issue. If the fish are kept below their preferred temperature you’ll notice they do not grow well and can even die. This means that if you don’t live in the tropics, you’re going to have to keep the water warm; which could be an expensive proposition. 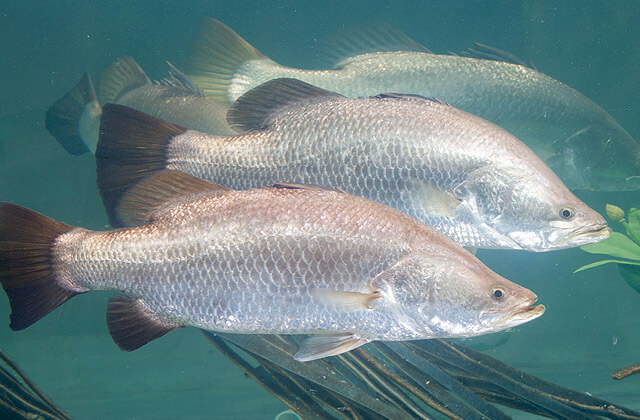 It is worth noting that the barramundi can survive in the colder months, providing the temperature remains above 60°F. However, they will simply laze at the bottom and eat very little. This means you may not have enough nutrition for the plants you’re trying to grow. It’s not just the water temperature you need to keep right. Barramundi needs a high level of dissolved oxygen to be happy, the ammonia levels need to stay low and they don’t tolerate changes in the pH. You’ll need to focus on keeping the water temp between 77 and 86°F, the pH between 6.5 and 7.2, and the ammonia levels no higher than 2ppm. These are predatory fish. If they were the same size as you, they would attack first. Unfortunately, this means that you’ll need to have plenty of cages and even an alternative tank. If you don’t the young fish will eat each other and be eaten by any adults, ruining your chances of creating a successful barramundi aquaponics system. The barramundi performs best in temperatures between 77°F and 86°F. If the temperature falls below this they will quickly become sluggish and die. Equally, if the temperature gets to warm the barra will struggle. As mentioned, the barra is a fast growing fish. It should reach 1 pound in just 5 months, 2lbs in approximately 7 months and by a year be as much as 4lbs. Of course, this will depend on the space they have available and other environmental factors, such as food supply. 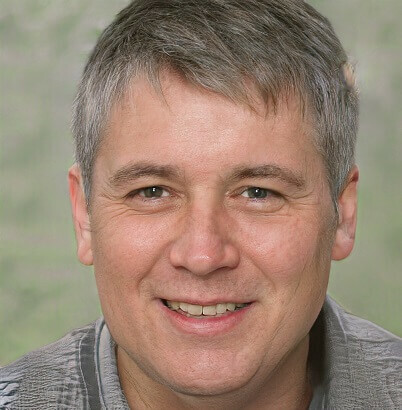 In fact, everything about the growth process is fast. The fertilized eggs will hatch within just 17 hours, providing they are in water that’s between 80°F and 85°F. Their first 24-48 hours are spent consuming the yolk that hatches with them. By the time they are 50 hours old, they can start feeding. For the next seven days, they will feed on microalgae, but, by the time they are 8 days old they can start feeding on brine shrimp. They will reach between 2-4 inches long within 45 days. At this stage, you’ll be able to treat them as adults, and they will continue to grow until they reach maximum size, potentially 15 inches long. 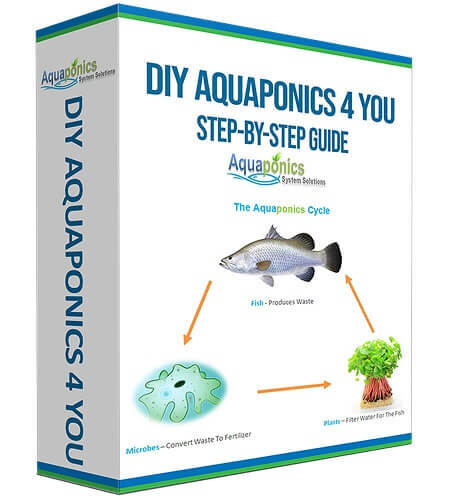 If you’re serious about barramundi aquaponics then you need to check out these questions and answers. If you can’t find the answer to your query here then contact me, I can help. Barramundi are predators and will eat almost anything. Worms, shrimp, yabbies and feeder fish are a good idea, alongside commercial fish pellets. You may be surprised by how docile the barramundi is, except when it gets hungry and feeds. During this time it will thrash around violently. Is barramundi safe to eat? Yes! In fact, barramundi are full of nutrition and taste fantastic. Because they grow so fast you can get fingerlings at the start of the spring and have them plate size by the fall! The downside of this approach is that you’ll have no fish in your aquaponics system as you approach the coldest month of the year. This may be a good time to choose a cold water fish, such as the trout or arctic char; depending on how cold it gets in your winter. Not only will you find that barramundi is actually very tasty. You can also enjoy the health benefits of these fish, they are full of omega-3’s, and omega-6’s. How big do barramundi grow? If you ensure your barramundi have plenty of food they will grow quickly and should reach approximately 12- 15 inches within 12 months. This is a big fish. You could just as easily harvest the fish to eat at 6 or 7 months when it’s approximately 2lbs and 6-8 inches long. Can I Keep Them With Other Fish? The barramundi is likely to attack any fish smaller than itself and could even have a go at a fish the same size as itself. In this sense it is advisable to avoid putting up fish in the tank with them; unless they are intended to be food. Where can I buy barramundi fingerlings or fry? Unless you’re in Thailand or Australia then your best bet will be to look online. 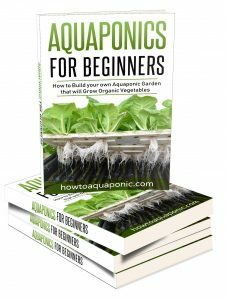 It is possible that you’ll find a local aquaponics specialist that has barramundi aquaponics systems, but the internet is likely to offer you a better range of choices.